New York, New York... Its a hell of a town!!! The Bronx is up and the Battery's down!!! 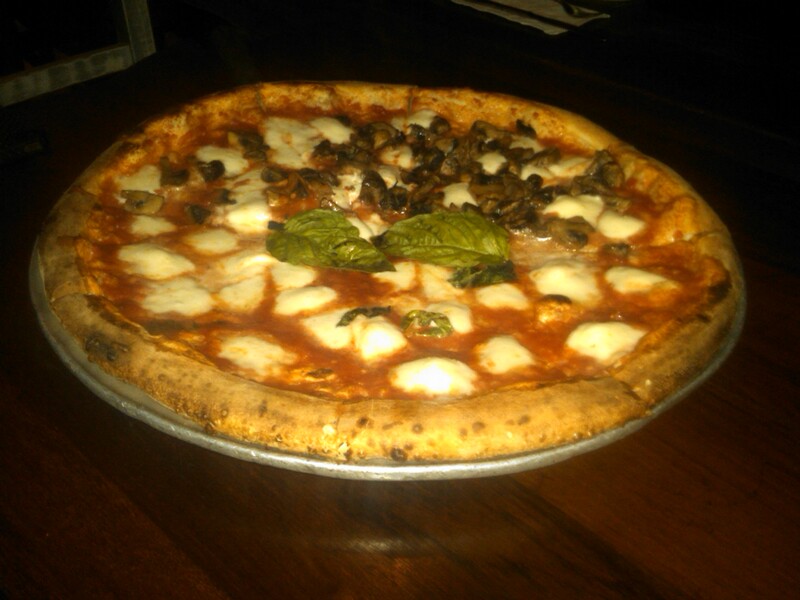 Speaking of down and in, there's a pizza place worth checking out just off the "L" train stop off 14th and 1st. The place is called Luzzo's. Hmmm, where have I heard of this place before? I distinctly remember a Ms. Gabriella from Positano's dare tell me that Luzzo's was the best pizza in all of New York City. Well, let's find out if she was right. Luzzo's sports an additional namesake of a once famous pizzeria (Una Pizza Napoletana), formerly on 2nd Avenue and 12th Street (now Motorino's). This downtown East Village scene is like sticking your finger into a wet outlet. It has buzz and excitement all around. It was no different last Thursday when yours truly picked a Plum and hit the charts with a solid 7. And so here we go again in the battle of neighborhood pizzerias. Tonight we go to Luzzo's for their old school pie. Luzzo's has an interesting storyline, including the near miss of a tragic association to Gino Scotto's remake of the old Romano's Macaroni Grill in Westbury, now Scotto's Brick Oven Fiasco (undoubtedly the worst offering from this fine epicurean specialist from Long Island). After Una Pizza Napoletana's owner, Anthony Mangieri beat it to the West Coast in search of pizza slugs and left NY to the experts, Michele Iullano(pronounced Mee-Kell-Ayyyy Eye-You-Lan-Ohhh) took a 120 year old baker's oven and turned it into a pizza hearth to churn out some of the best old country, back to Italy abeetz in NYC. Its hard to argue with the ingredients, all imported, including the Bufala mozzarella, flown in every Tuesday from Naples; the San Marzano tomatoes flown in from Italy and the Farina di Grano Tenero (San Felice Pizza Flour) also flown in regularly from back home. However, all that said, one must make art of fine paint with a brush and leave finger painting for children. All of the finest ingredients in the world must still be put together to bring home the gold, as they say. My expectations were extremely high as the Bufala came out of the oven and over to the table. I knew at first site that the pie was under cooked and I was right. The disappointment immediately set in and my gracious host Pasquale sensed it. Unfortunately, the 16" Bufala was under cooked, leaving fresh semi-melted ringlets of mozzarella slide off the floppy paper thin slice as if it were a bolus-like oyster shot. Somehow the pie's tasty parts, while separated by a technical faux pas (perhaps popped from the oven too soon), still managed to rank a 5 of 8 slices. Here, however is where the story begins and finishes with a happy ending. And no, it wasn't free pizza night at Lucky's Bar & Tavern in Bum Fucked Redneck Florida were. no-knowlege pizza slugs drool over Anthony's Coal Fired crapola. And no, it wasn't a Korean rub-out (no shots fired). Pasquale asked if I would be kind enough to stay and try Luzzo's Bufala Quadratti. I obliged. Luzzo's Bufala Quadratti is a paper thin 1/16" flat pizza that takes you straight back to Italy circa 1898. Fitting for a pizza cooked in a 120 year old oven. Unbelievable! This pizza was so good, it makes me sick to pan the 16" round (no pun intended). There is a secret preparation on the Quadratti that makes it to the land of perfection - the 8 of all 8's. But I'm not telling anyone. You'll have to go and get one for yourself and hope that Pasquale and the girls let you in on their incredible little secret. Luzzo's Quadratti is a pure masterpiece and earned the right to be called the 8 of all 8's turned sideways. But since Pizza Expert doesn't allow for an 8 out of 8 perfect slice ranking until he has eaten there, I will have to give it a 7 out of 8 for this visit. 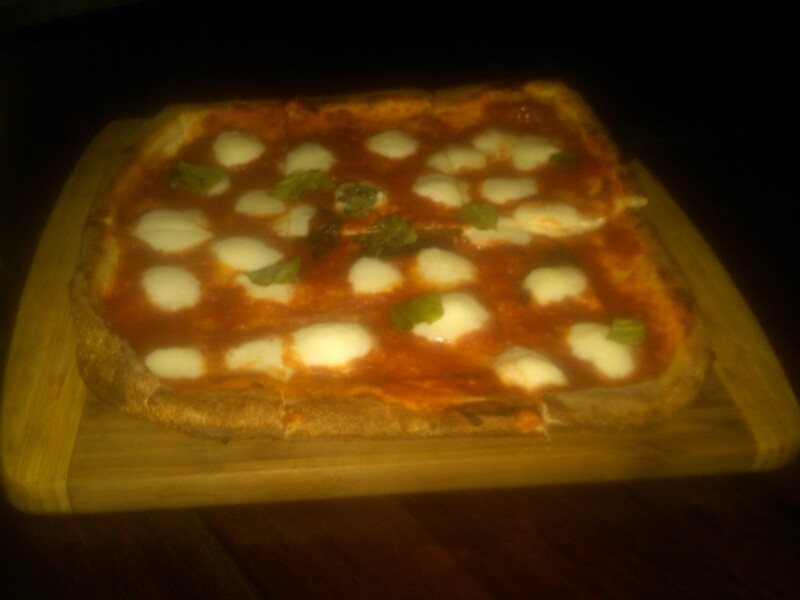 But trust me, this is the perfect pizza and is an 8 out of 8. pffffft Pizza Expert!